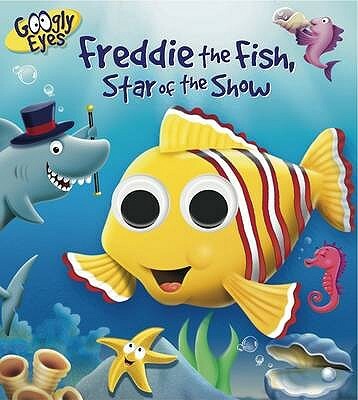 Freddie the Fish thinks the undersea show is lots of fun. Smiley the Shark sings with his band, Snippy the Crab walks sideways along the high wire, Susie the Seal spins a ball on her nose, and Ollie the Octopus juggles eight shells at a time! Follow Freddie as he discovers how he can become the star of the show! Youngsters will enjoy turning the thick board pages and laughing at the exciting googly eyes that pop out of every scene.